If there’s one area where the French can’t claim the grass is greener elsewhere, it has to be wine. And yet there are some fabulous wine regions all around the world. The problem is, it’s always hard to know where to start. So come with us, and let iDealwine take you on a guided tour of the world. It’s a simple fact that the vineyards of France are full of hidden gems, and a single lifetime isn’t long enough to discover them all. So we’ll have to plead guilty to not being exhaustively well-informed on the international wine and grape front. In our defence, however, it’s hard to find a sufficient quantity of international benchmarks to remedy this deficiency. To mark iDealwine’s sale of world wines, we’ve been busy producing a short guide to introduce you to these international wines. The term « New World », although imperfect, describes all those territories in which vine plantations are a recent phenomenon: the Americas, South Africa and Australasia. Unlike in Europe, you’ll hardly ever find any species native to these regions. After all, vines were cultivated by humans from Roman times onwards all around the Mediterranean basin. Over the centuries, people selected grapes for their yield, characteristics and ability to adapt to a given climate. By comparison, grape varieties native to « virgin » areas have not been exposed to this rigorous selection, and species discovered indigenously have not delivered satisfactory results. So it was that European vines were planted by pioneers, colonists or – more recently – European growers with a thirst for new discoveries. Taking an interest in the wines of the world, therefore, means discovering how well species familiar to us have adapted and been made into wine under totally different climatic and geological conditions. It’s no surprise that major wine dynasties such as the Drouhin, Rothschild and Chapoutier families have set out to explore these new playgrounds. 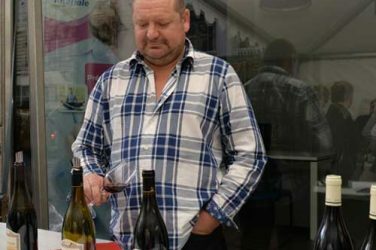 Indeed, given that these newcomer vineyards, freed from the bonds of tradition, have been ruthless innovators, it has become something of a rite of passage for Old World winemakers to head off to learn their trade in South Africa, the USA or even New Zealand before taking up the reins of a domain. 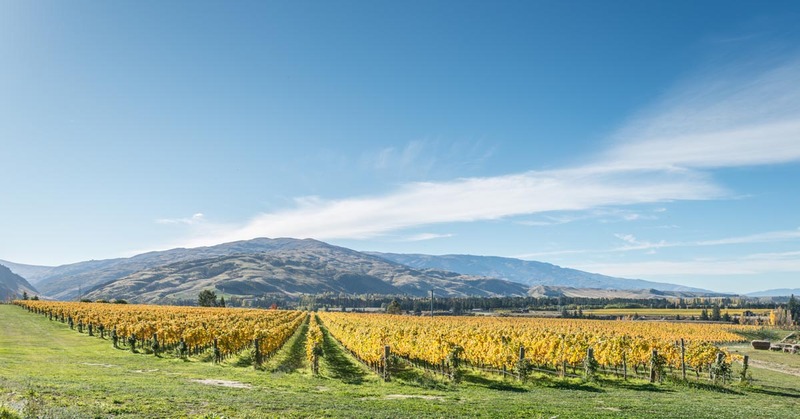 We’d like to introduce you to five of the major wine countries, and a handful of the best producers: the USA, Chile and Argentina in the Americas, South Africa in Africa, and Australia and New Zealand in Oceania. The history of viticulture in the United States has been littered with pitfalls. After their arrival in the 16th century on the American continent, the first colonists spent two centuries attempting – in vain – to plant European grape varieties. To be fair, the eastern seaboard of the United States, with its enormous temperature range, is poorly suited to vine cultivation. Furthermore, the rootstocks of the European vines were attacked by a mysterious insect: phylloxera. Local varieties – derived not from Vitis vinifera but instead from Vitis lambrusca – were resistant to it. However, the end product was pretty rough, and Thomas Jefferson’s dream of creating a great American wine had to wait. Prohibition drove a nail into the coffin of US viticulture, which had been based on a spontaneous Vinifera/Lambrusca hybrid. It was not until the 1960s, impelled by wine personalities such as Robert Mondavi, that US viticulture really found its feet. European varieties were introduced, grafted onto American rootstocks – most notably Cabernet Sauvignon, Merlot and Primitivo (the latter known as Zinfandel in the USA). Vines could be found in a number of US states, but the most positive results came from the West Coast – and California, Oregon and Washington in particular. In 1976, the legendary « Judgment of Paris » wine tasting gave the stamp of approval to American wine. « American Viticultural Area » is the US appellation system which is supposed to equate to the French AOC. In reality, it is more akin to France’s IGP system: the requirements are very flexible, and for wines to qualify for the AVA, just 85% of the grapes need to have been grown in the region in question. AVAs do not generally mandate the use of specific varieties. For a grape to be named on the label, it must constitute at least 75% of the total contents. 90% of wine produced in the United States comes from California! US production is dominated by the great duopoly of the Sonoma Valley and the ubiquitous Napa Valley: two parallel rivers which open into the San Pablo/San Francisco bay. 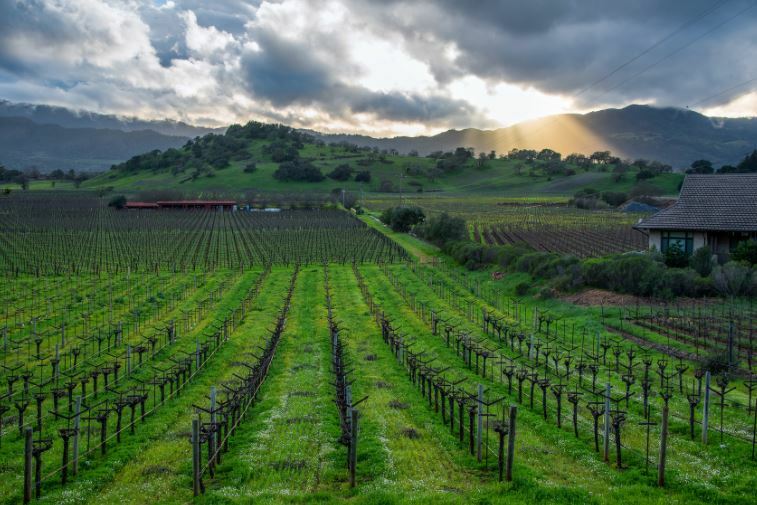 Less famous than the Napa Valley, the Sonoma Valley, which extends from Cloverdale in the North to San Pablo Bay in the South, is nonetheless twice as large, covering 400,000 hectares. It is home to a wide range of grapes, but the most common whites are Chardonnay (grown in colder climates) and Sauvignon. 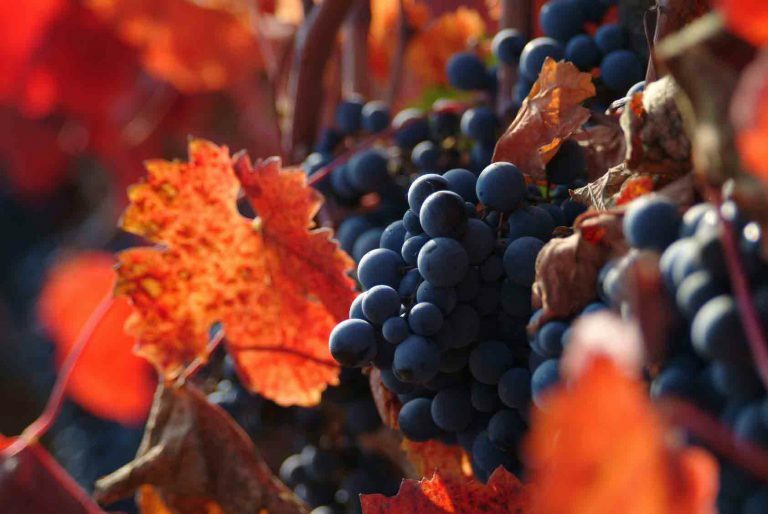 Among the reds, the most common is Pinot Noir, followed by Merlot, Cabernet Sauvignon and Zinfandel – the latter being naturally suited to this terroir. The Pinot Noirs have more colour and richness than their Oregon counterparts. The Marcassin vineyard produces superb Chardonnays and Pinots in this region. 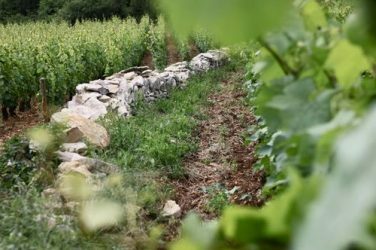 This is the favoured terroir for Bordeaux grapes, and Cabernet Sauvignon in particular. Zinfandel is also grown here. Among the (minority) white varieties are Chardonnay and Sauvignon. The climate is hot, but tempered by San Pablo bay to the north. Interestingly, irrigation is allowed in this region. Some producers use French barrels, while others use American casks, which imprint a characteristic coconut aroma on the wines. And also… Just to the south of Oakland, opposite San Francisco, are the Santa Cruz mountains. In this smaller region, very high-quality producers, such as Monte Bello – one of the stars of the Judgment of Paris – and Bonny Doon, which produces superb wines from Rhône varieties, are worth a detour. Lastly, further south, north of Los Angeles, lies the excellent Ojai Vineyard. Oregon wines are produced around the 45th parallel, just like Bordeaux and the northern Rhône valley (you may be familiar with the Parallèle 45 wine produced in the Rhône by Jaboulet). The region includes only 10,000 hectares of vines, which is equivalent to Beaujolais in France. But it’s here that Pinot Noir finds its finest expression anywhere in the US. The colour of an Oregon Pinot is deeper than its Burgundy equivalent, but doesn’t compare to a Californian Pinot. It generally has a more rounded expression in the mouth, characterised by a very light sugary note. White wines here are predominantly Pinot Gris. 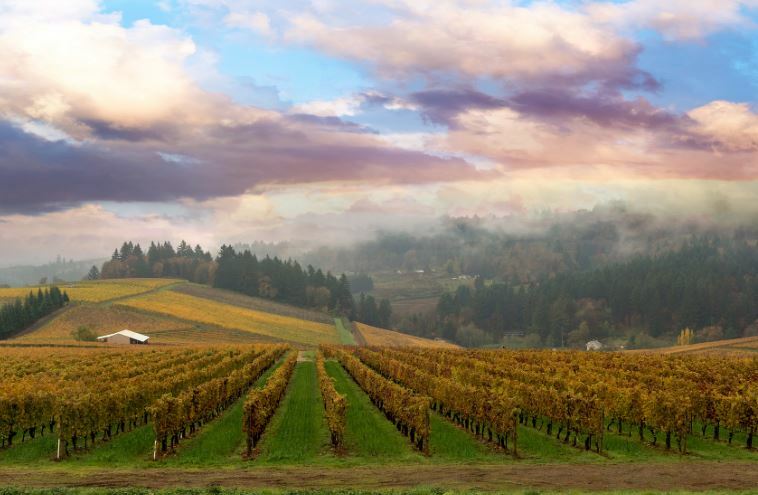 Unlike in California, vineyards in Oregon are highly fragmented between multiple producers. It’s almost like the old Bourgogne/Bordeaux rivalry all over again… However, the AVA is more restrictive (100% of grapes must come from Oregon). 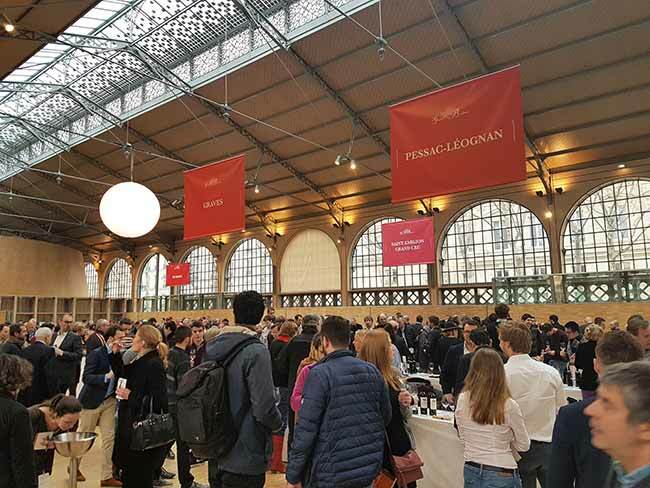 The top producers include Drouhin, Louis Jadot, Liger-Belair and Méo-Camuzet, bringing their Burgundian savoir-faire to the United States. And also… It’s worth remembering that there are great Rieslings to be had in the neighbouring state of Washington, where there are huge variations in temperature. Although America’s founding fathers may have failed in their attempts to plant Vitis vinifera, the conquistadores of South America met with more success. Today, Chile is still one of the world’s only vinyeards not to have been contaminated by phylloxera; the same vines which were so badly hit in the North produced excellent results in the South. Chile is a strip of land 4,000km in length, squeezed in between the Pacific ocean and the Andes. Its vineyards are concentrated mainly in the centre, between Santiago in the north and the Maule region in the south. The vineyards are highly fragmented, particularly those of Valparaiso in the north and Malleco in the south. The hot days and extremely cold nights produce interesting balances in the red and white wines. 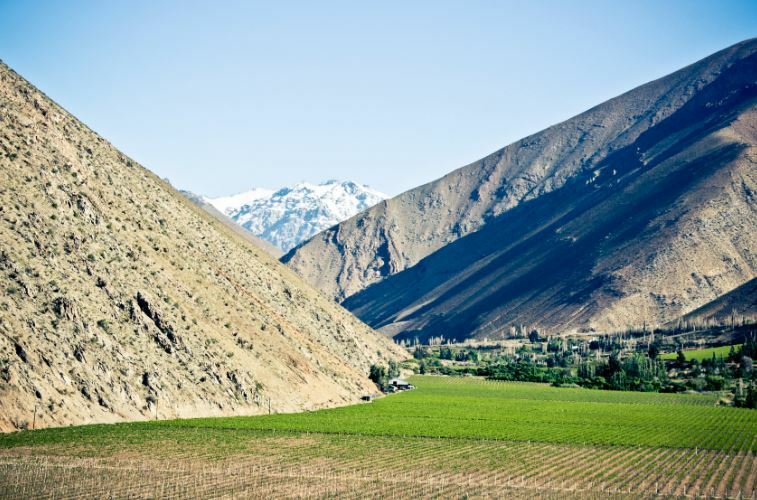 The wines are irrigated by the melting snows from the Andes. The major difference from the rest of the world is Chile’s relative isolation in terms of vegetation. Isolated individual descendants from Spanish vines (Sauvignon, etc.) can still be found. However, the « population » is tending to globalise. Producers can import European rootstocks, provided they comply with a drastic quarantine regime. This is a strategy which has been most visibly adopted by the Lafite team in Los Vascos. Chile is known mainly for its red wines. Cabernet Sauvignon produces superb results here, and is the most widely-planted variety (1/3 of the vineyard), followed by Chardonnay and Sauvignon (Blanc, Gris and even Vert). Carmenère has gradually replaced Merlot (which, in fact, has long been confused with Carmenère anyway). A very late-developing and fecund variety, it yields fine results in very poor soil in Chile. In fact, it has become a sort of emblematic grape in the country. In addition to Lafite’s work in Los Vascos, the Rothschild branch of the family now operates in Chile through a joint venture with Concha y Toro, creating Almaviva. 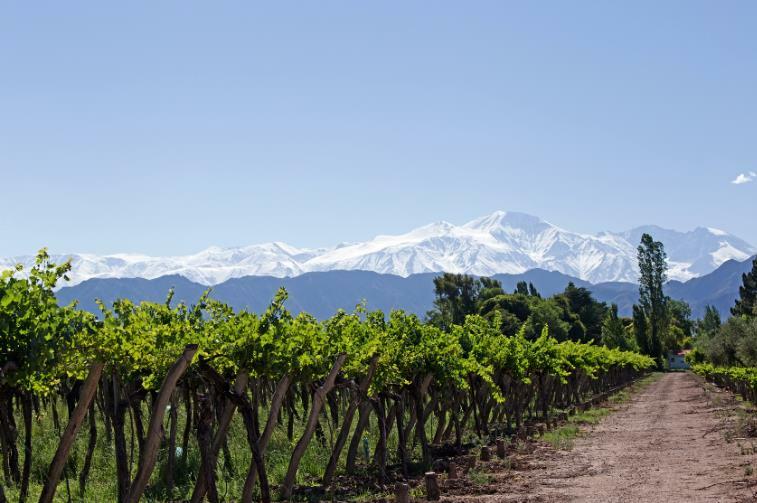 A characteristic of Argentina is the cultivation of vines in extreme conditions, ranging from sub-tropical in Salta to very cold in the southern region of Patagonia. Vines are also cultivated at very high altitudes. The regions of La Rioja and San Juan (where Syrah is grown) are starting to produce some very attractive wines, but the flagship region is evidently Mendoza (with 60% of production). This huge region around the city of the same name is sited at the same latitude as the vineyards of Chile, on the other side of the Andes. The climate is extremely dry in summer, with virtually no rainfall. And the only reason this oasis exists is irrigation, assisted by melting snow from the Andes. The vineyards are at altitude (over 1,000 metres). The very cold nights give the wines an attractive acidity. King of the grapes here is obviously Malbec, which is combined with Cabernet Sauvignon, Cabernet Franc, Carmanère, Merlot and Tempranillo. Malbec produces well-structured wines with a high alcohol level, but counterbalanced with a pronounced acidity. The result is highly fruity wines with candied, even jammy blackcurrant/blackberry aromas. The white wines are predominantly Pedro Giménez (originally from Spain, but not to be confused with Pedro Ximénez), more traditional European varities (Chardonnay, Viognier, Chenin, Sauvignon) and what is known locally as Torrontés (a crossing of Muscat of Alexandria and Criolla Chica). Among iDealwine’s Argentinian wine favourites are the Atamisque (which matures its wine in French barrels) and El Enemigo bodegas.